This is the time of year when food blogs showcase recipes whose primary attribute is their ability to use up huge quantities of zucchini, ideally without anyone noticing. When gardeners force their friends and neighbors to accept large bags of squash, leaving them on people's porches when they're not home. I have a huge, sunny garden, and by all rights I should be overrun with zucchini. Sadly, I am not. This is not for lack of trying. 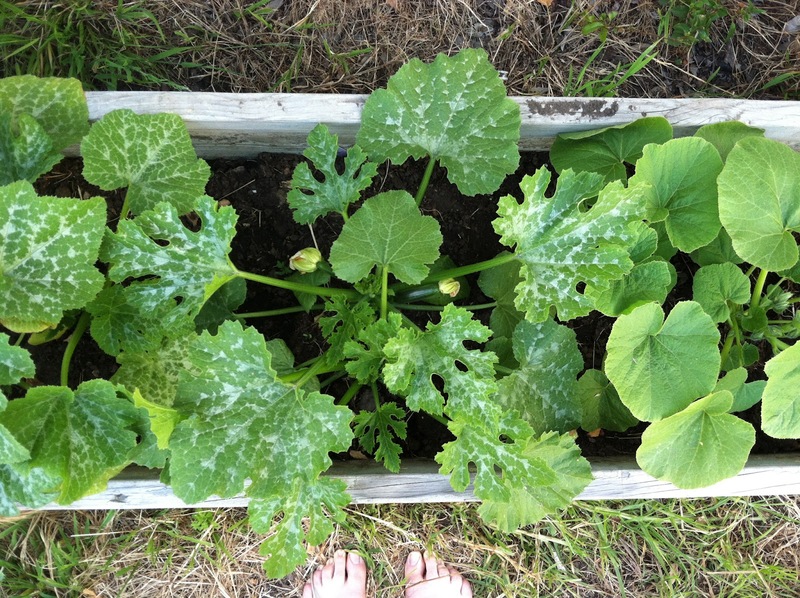 I put in four summer squash plants: two "Patio Star" from the nursery, and two "some kind of grey squash, I think" seedlings given to me by someone at the weekly crop swap. Having by that time run out of room in the garden, I even built them a special bed off to the side, where they'd have plenty of room to stretch out their tendrils. My plants thrived, grew, produced big bright orange flowers. 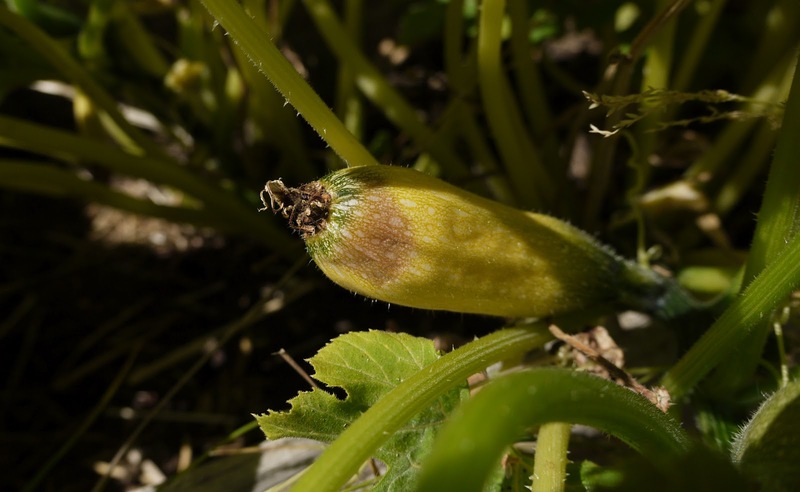 Tiny little baby zucchini appeared. Then, one by one, the baby zucchini shriveled up and died. Starting at the blossom end, they'd turn yellow, then brown, softening into moldy little tubes of mush. None of the food blog recipes call for mush. I tried giving them more water, then less, then more again. I checked the internets, which said it was lack of either pollination or calcium. Apparently, most soil has enough calcium, but irregular watering can prevent the plant from absorbing enough. Whoops. On the other hand, this particular bed doesn't have great soil, since I didn't have much compost when I built it. I think I filled it mostly with recycled potting soil from containers whose tenants had passed away. 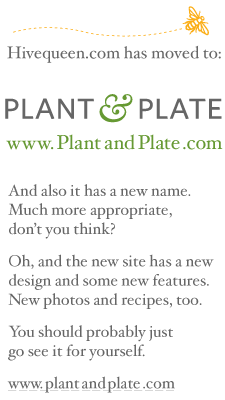 Possibly not the greatest approach to horticulture. I grabbed a q-tip and hand-pollinated all the flowers, just in case that was the issue. Added a thick layer of eggshell-rich compost, and vowed to water more regularly. In the meantime: if you're one of those unfortunate souls with more zucchini than you can handle, feel free to bring them over. And while you're here, take a bag of kale home with you.